(Fort Lauderdale, FL) – NSU Art Museum Fort Lauderdale will present an art talk by artist José Bedia and museum Director and Chief Curator Bonnie Clearwater on Saturday, September 24 at 2 pm. The discussion will explore the influence that tribal and ethnographic art has had on Bedia’s work and career, and will also examine the significance of African works in the museum’s current exhibition, African Art: Highlights of the Permanent Collection. 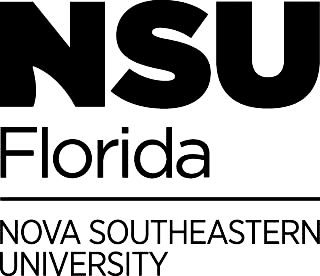 The talk will take place in NSU Art Museum’s Horvitz Auditorium (One East Las Olas Blvd., Fort Lauderdale). General admission tickets are $12 and also include admission to the museum’s galleries. Tickets may be purchased by calling 954-262-0258 or through the museum’s website: nsuartmuseum.org. Born in Havana, Cuba in 1959, José Bedia was one the pioneers of Cuba’s celebrated 1980s generation of artists whose work radically transformed Cuban art. Bedia’s intense study and explorations into the traditions, beliefs and symbols of African, Afro-Cuban, and Native American cultures and religions have been significant influences on his work and he himself was inducted into the Regla de Congo, a religion brought to Cuba by slaves from West Africa. He is also an ardent collector of African art, acquired during his extensive travels. Bedia’s work has been exhibited in numerous U.S. and international solo and group exhibitions, and is included in such museum collections as the Museum of Modern Art, NY, Whitney Museum of American Art, Guggenheim Museum and Tate Modern, London. He currently lives and works in Miami. African Art: Highlights of the Permanent Collection examines traditional art of Sub-Saharan Africa, with an emphasis on the art of West Africa. Some of the finest African works from NSU Art Museum’s permanent collection are featured in the exhibition, including pieces by important masters of regional styles and workshops. The exhibition is on view at NSU Art Museum through October 23, and is made possible with support from Wells Fargo and the Wege Foundation.